If you don't have this masterpiece in your music collection already then you don't have a great music collection and probably no good taste in music either. But having the old version is not good enough any longer. 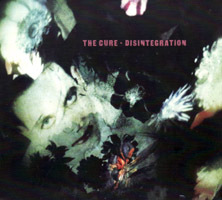 The original Disintegration cd has been remastered and sounds much better than before! There's a disc with rarities from 1988-1989 including band rehearsals, demos, studio roughs of both album tracks and outtakes. Indeed interesting stuff! The awesome Entreat 1989 London live album has been expanded to include the full setlist (4 previously unreleased songs) and it is still one of the best sounding live albums ever released. The sound quality is simply unbelievable! So basically you are out of reasons not to buy this new 3cd. If you are broke then sell your mother or a kidney, you need this album more than both of them!